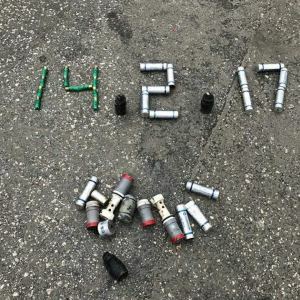 Bahrain’s protest movement began on 14 February 2011 and continues to today in the face of continued rights violations. 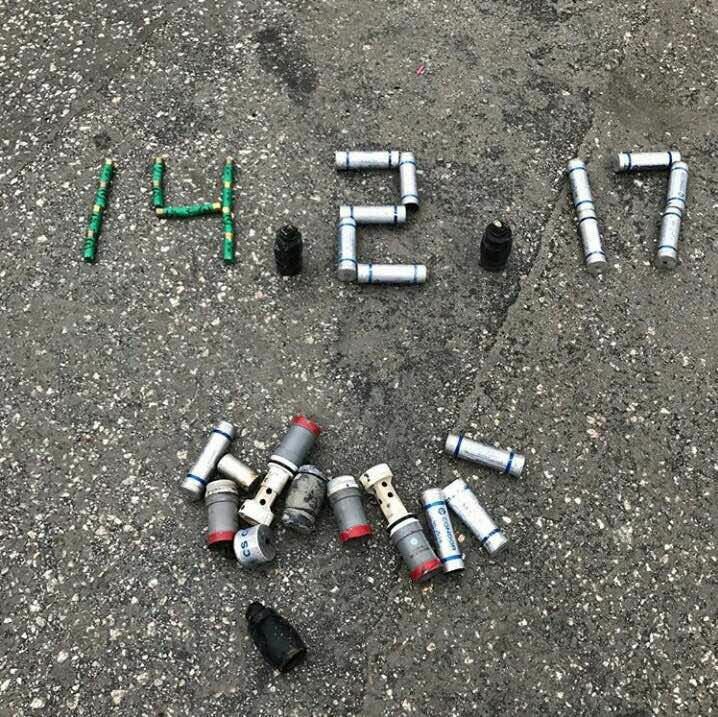 14 February 2017 – On the anniversary of the 14 February 2011 protest movement, we, the undersigned, are deeply concerned that Bahrain’s human rights situation has now reached unprecedented lows. Bahrain’s precipitously worsening rights record is damaging not just for Bahrain, but for the stability of the entire region. The 34th Session of the UN Human Rights Council, set to begin on 27 February, marks a moment when the international community can likewise express concerns on the continued human rights violations in Bahrain and urge Bahrain to undertake urgent steps toward reform. Bahrain’s 3rd cycle Universal Periodic Review, which will occur in May 2017, provides another opportunity for the international community to raise their concerns concerns. We, the undersigned, strongly encourage international actors to seize these opportunities, and condemn the exacerbated violations of human rights occurring in Bahrain. Six years ago today began the largest protest movement in Bahrain’s history. Protests driven by calls for the respect of human rights, democratic reforms, and an end to corruption , swelled in size in the face of police brutality. Protesters, centering their demonstrations around the iconic Pearl monument, numbered in the many tens of thousands. 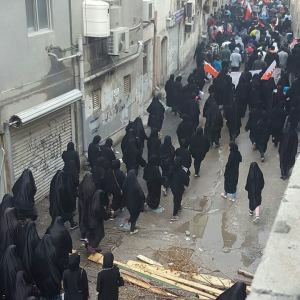 Their calls for dignity and democracy were quashed after a month: on 14 March 2011, when Saudi and Emirati forces entered Bahrain and a state of martial law was declared. Hundreds of people were arrested, tortured, and sentenced by military court. Several people died in the custody of the security forces and National Security Agency. Faced with international pressure, the Government of Bahrain commissioned an independent international panel of human rights experts to investigate and document abuses committed in February–June 2011 and make key recommendations to the government for reforms. The Bahrain Independent Commission of Inquiry issued their report, published in November that year, set out 26 recommendations that were accepted by all parties in Bahrain. These recommendations called for accountability, justice for victims, national reconciliation, a moratorium on the death penalty and respect for the freedoms of expression, assembly and association. These recommendations were further echoed by the international community a year later in Bahrain’s second Universal Periodic Review. Six years on, the situation has regrettably grown increasingly worse. Ad-hoc violence and human rights violations have now been entrenched into Bahraini law. The National Security Agency, stripped of law enforcement powers after their role in torturing Bahrainis, were regranted powers of arrest and interrogation in January 2017. The Government is currently pursuing a constitutional amendment that opens the door to empower martial courts to try civilians. Arbitrary denaturalization has been established within Bahraini law, and to date approximately 350 people have been stripped of citizenship, most of them through arbitrary administrative orders or following unfair trials. The majority have been rendered stateless. 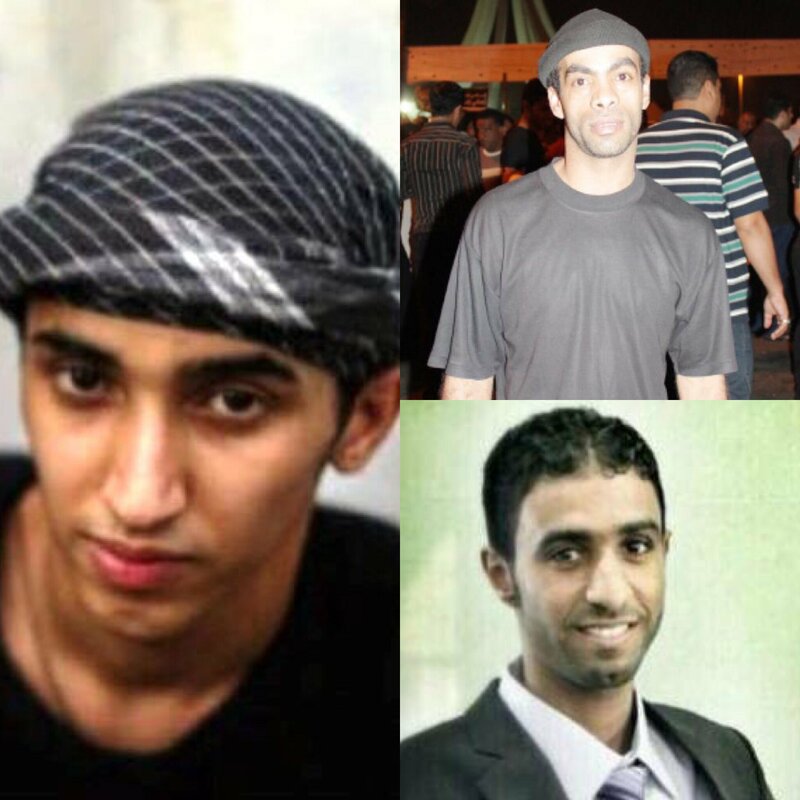 Clockwise from left: Ali Al-Singace, Sami Mushaima and Abbas Al-Samea were unlawfully executed in January 2017. The Government of Bahrain crossed a new red line on 15 January 2017, when it illegally executed Ali Al-Singace, Abbas Al-Samea and Sami Mushaima. All three of the men suffered torture to coerce false confessions that were used to convict them in a deeply flawed trial that violated numerous international fair trial standards. The Court of Cassation, Bahrain’s supreme court of appeals, upheld their convictions in early January 2017, and the government carried out the executions less than a week later. Ali, Abbas and Sami are the first persons executed in Bahrain since 2010, and the first executed for politically-related charges since 1996. Their executions were condemned by the UN High Commissioner for Human Rights and the UN Special Rapporteur on Extrajudicial Killings. Most leading human rights defenders and political opposition leaders have been targeted with harassment, censorship, arrest or arbitrary imprisonment in relation to their work. Nabeel Rajab, president of the Bahrain Center for Human Rights, faces up to 17 years in prison in multiple cases, all relating to his exercise of his free expression and his work as a human rights defender. Yet other human rights defenders are forced to work quietly or have been banned from travel on multiple occasions, while still others, like Zainab Al-Khawaja, have been forced into exile for their outspoken criticism of human rights violations. The leader of the Al Wefaq Islamic Society, Sheikh Ali Salman, is serving a 9-year prison sentence, and his party – the largest in Bahrain – was dissolved in 2016. The leaders of other opposition parties are also in prison, including Fadhel Abbas of Al-Wahdawi and Hassan Mushaima of Al-Haq. Ebrahim Sharif, former leader of the National Democratic Action Society (Wa’ad), served four years in prison between 2011 and 2015, and was re-arrested within weeks of his release for making a political speech. 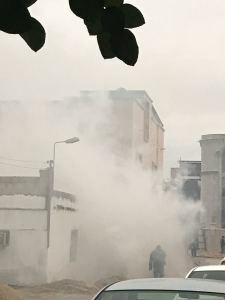 Security forces continue to employ excessive use of force to quell protests, and demonstrators are injured nightly by the use of birdshot pellets and tear gas. The prison population continues to grow in Bahrain, with the Bahrain Center for Human Rights estimating over 3,000 prisoners serving politically-related sentences. Meanwhile, as peaceful leaders have been imprisoned and security forces continue to employ excessive force, increasing violence against the state has also been registered. There is no accountability in Bahrain. To date, no senior officials have been held accountable for torture, excessive use of force or extrajudicial killings in Bahrain. Senior Bahraini leadership, including the Minister of Interior, who has held his position for 13 years, have never been investigated for command responsibility of the security forces which conducted arbitrary arrests, enforced disappearances, extrajudicial killings and torture. The military judge who oversaw the sentencing of hundreds of torture victims, doctors, trade unionists, protesters and political leaders in 2011,Mansour Al-Mansour, was never held to account. Instead, in 2016, he was appointed to a Saudi Coalition military unit which investigates humanitarian law violations in Yemen. 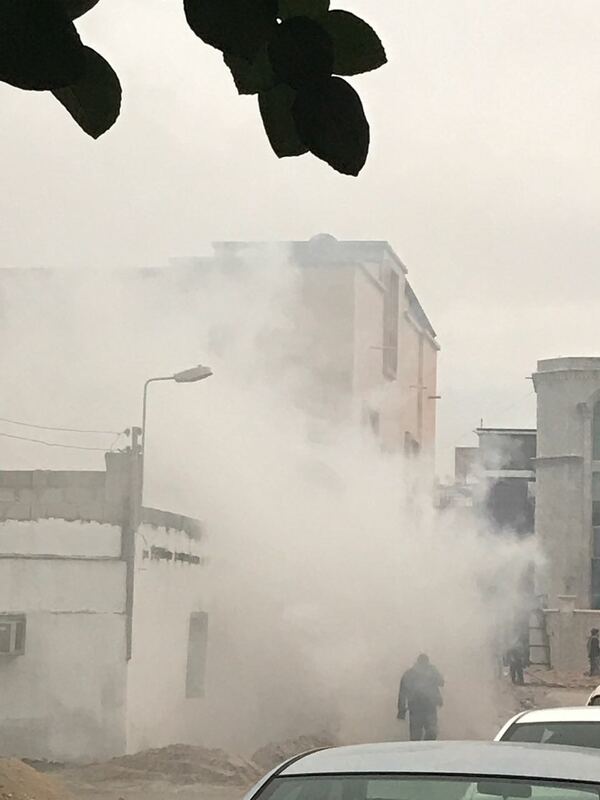 Security Forces continue to use excessive tear gas and birdshot against protests. The Government of Bahrain has created institutions which allege to investigate human rights abuses, including the Police Ombudsman, the Prisoners and Detainees Rights Commission (PDRC), the Special Investigations Unit (SIU) and the National Institute for Human Rights (NIHR). Yet none of these institutions are independent or effective. The Ombudsman and PDRC are tied to the Ministry of Interior, of which they are supposed to be the watchdog. The Special Investigations Unit lacks independence from the Public Prosecution, which is involved in systematically using confessions extracted under torture to prosecute victims, and it is complicit in absolving the state of torture allegations, as in the case of Abbas Al-Samea. The NIHR’s membership is largely drawn from state employees and it has never criticised the government for human rights abuses, and it most recently wrongly declared the January 2017 executions were to international standards. These are the same executions which the UN human rights procedures condemned. Husain Abdulla, Executive Director, Americans for Democracy & Human Rights in Bahrain: It is now more crucial than ever for the international community to refocus on Bahrain’s rising crisis. The people of Bahrain have valiantly maintained their peaceful struggle for human rights and democratic values in the face of mounting state repression. Bahrainis need to know that the international community are likewise committed to these aspirations, and that they will not allow short term economic or other interests to trump international human rights values. Protests occurred today across Bahrain, with many facing excessive force and injuries reported. Above: a protest in Karrana. We, the undersigned, condemn the Government of Bahrain’s entrenchment of human rights violations. We call on Bahrain to respect the rights to freedom of expression, assembly and association, the right to a fair trial and the protection of all people from torture. We call on the international community to hold Bahrain to account, in particular in the upcoming 34th session of the UN Human Rights Council and Bahrain’s 3rd Universal Period Review cycle.